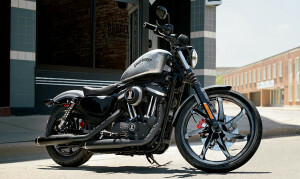 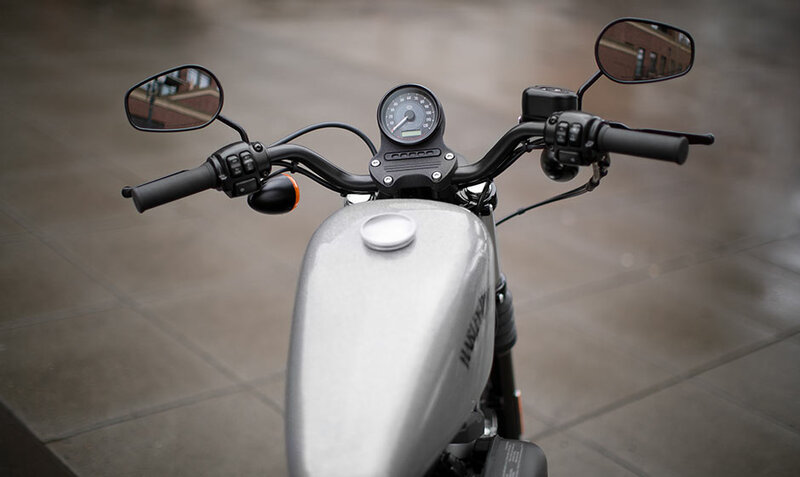 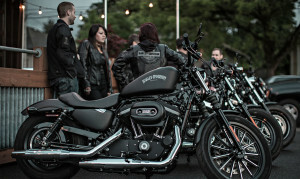 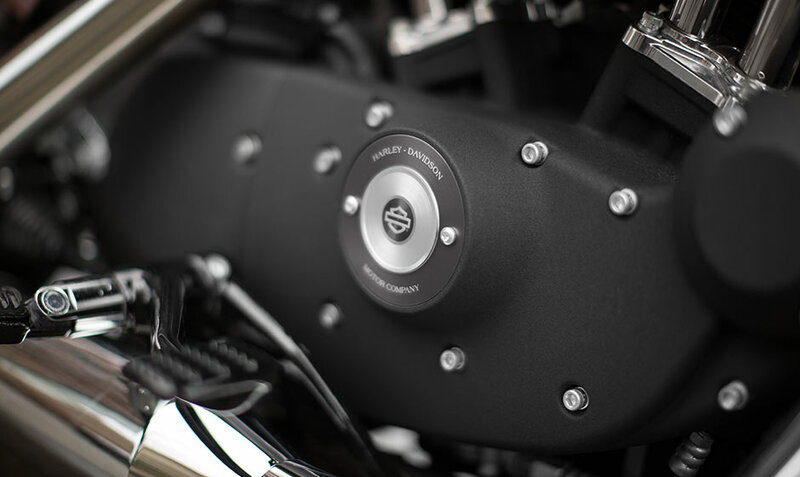 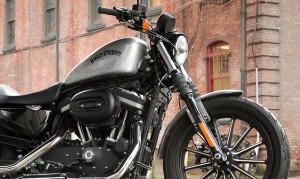 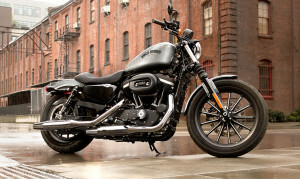 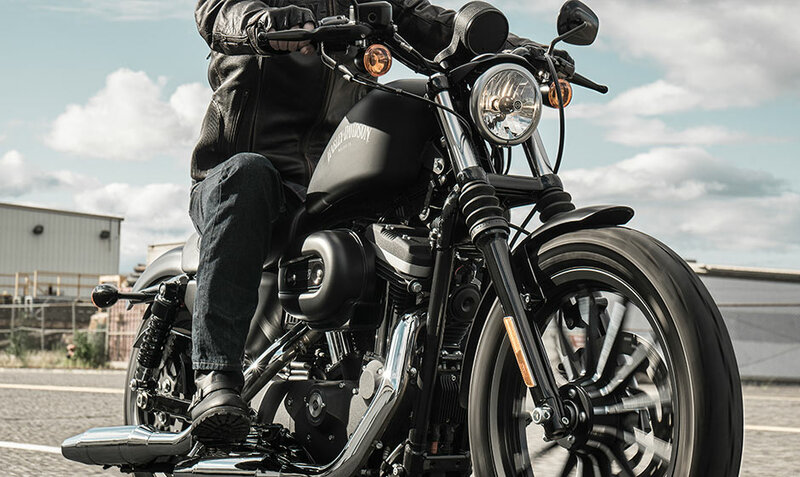 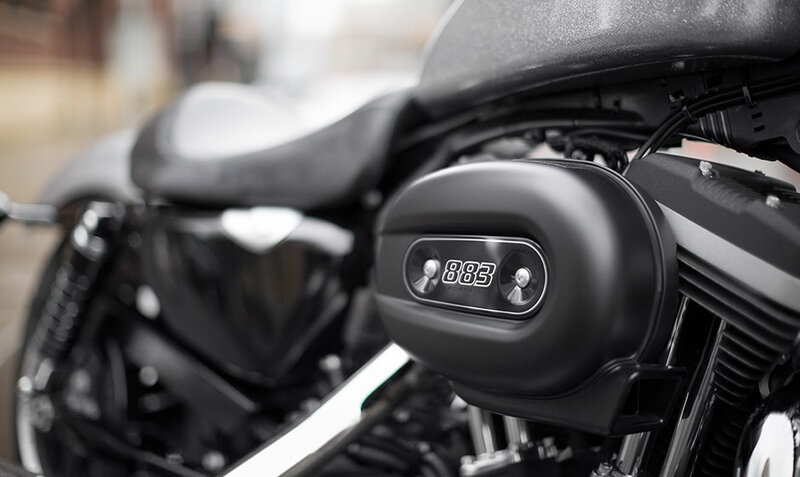 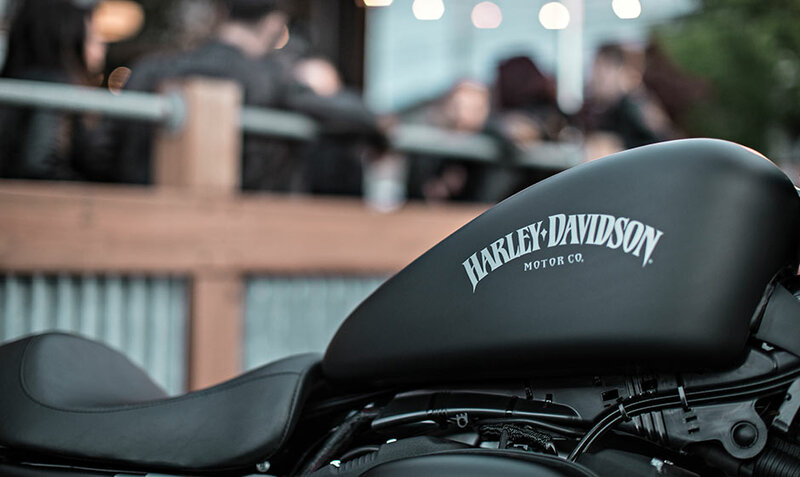 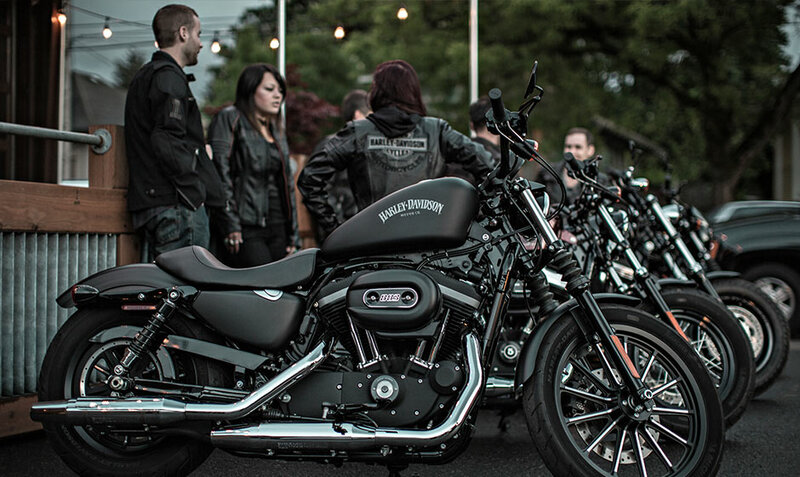 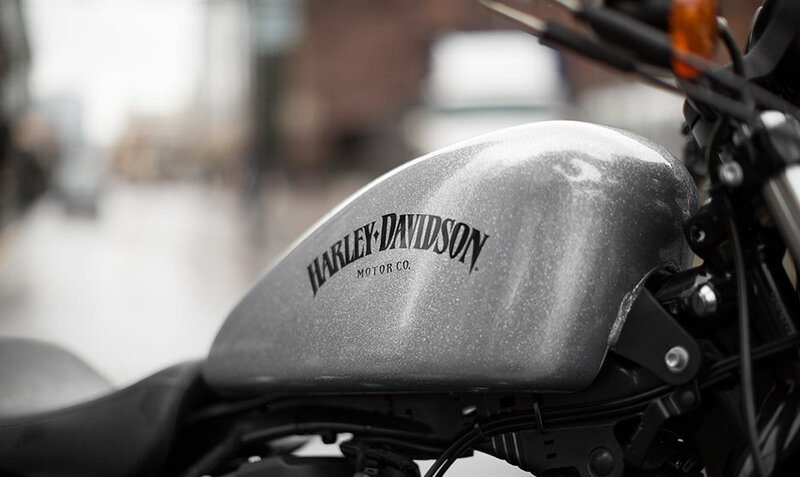 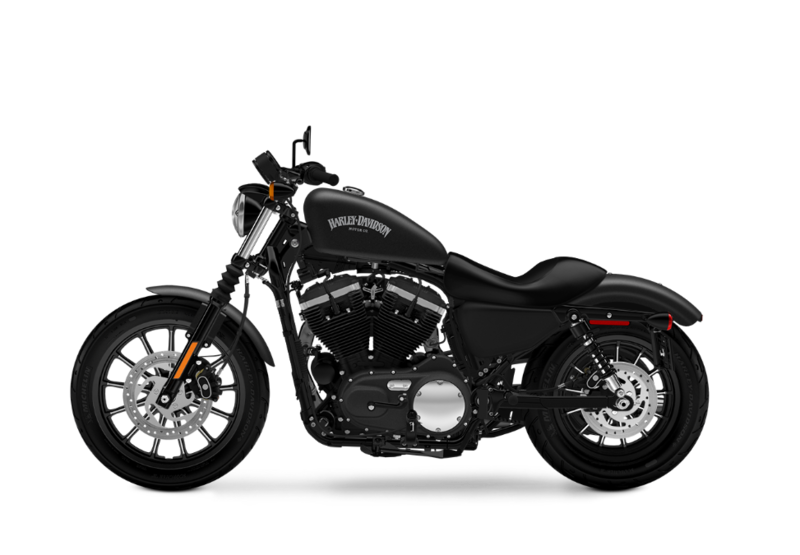 The Iron 883™ is definitely done up in distinctive custom Harley-Davidson styling, with a raw, stripped-down, blacked-out look that will turn heads wherever you go. 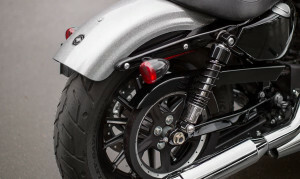 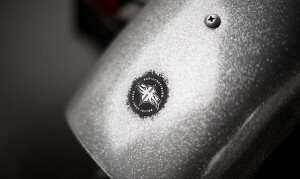 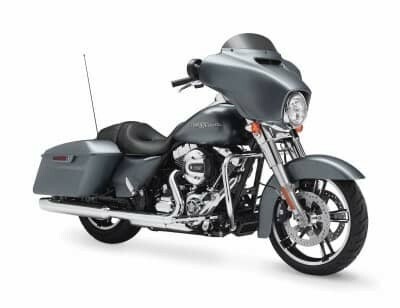 The side-mounted license plate keeps the rear fender sleek and minimal. 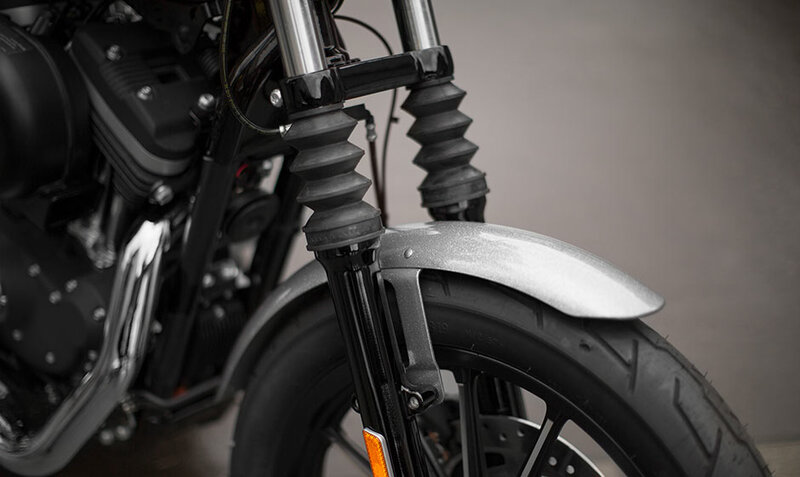 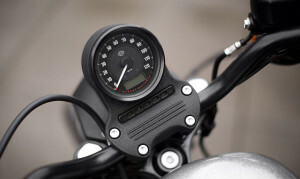 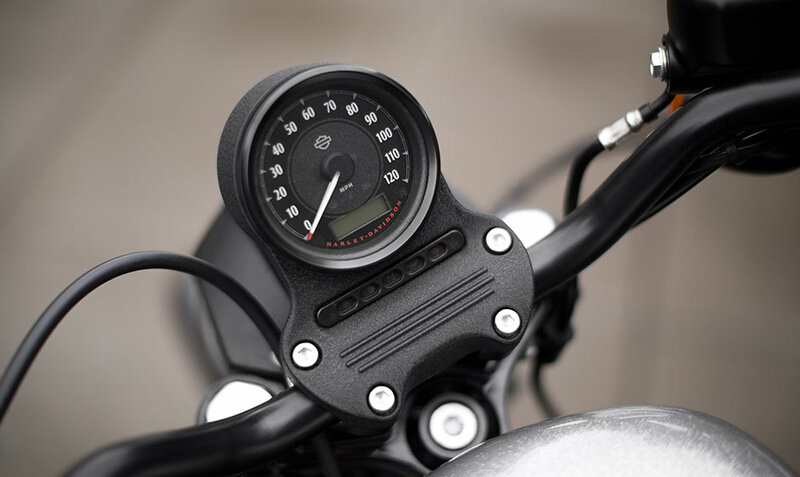 The black powder-coated V-Twin engine with a black fork, black oil tank cover, black belt guard, black rocker covers, chopped black fenders, and black drag bars, all add up to one slick custom package, unlike just about anything else on the street.